You totally know how much I love pom poms, right? 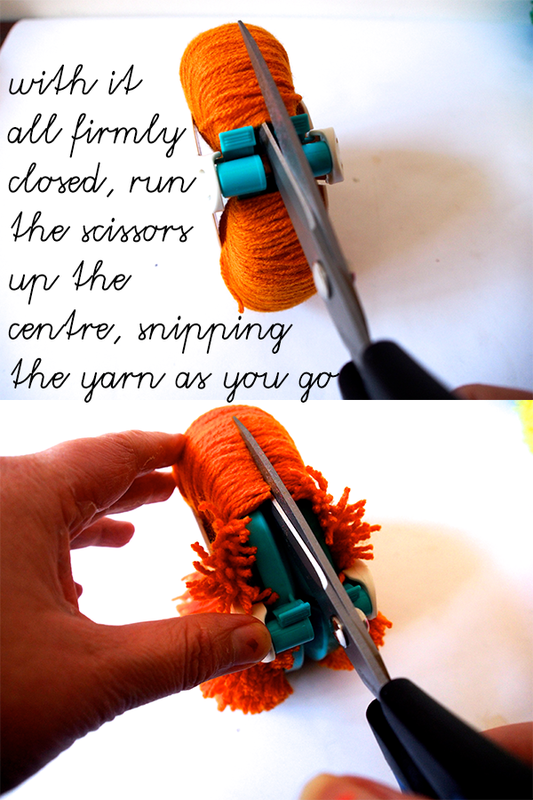 Remember the pom pom window? 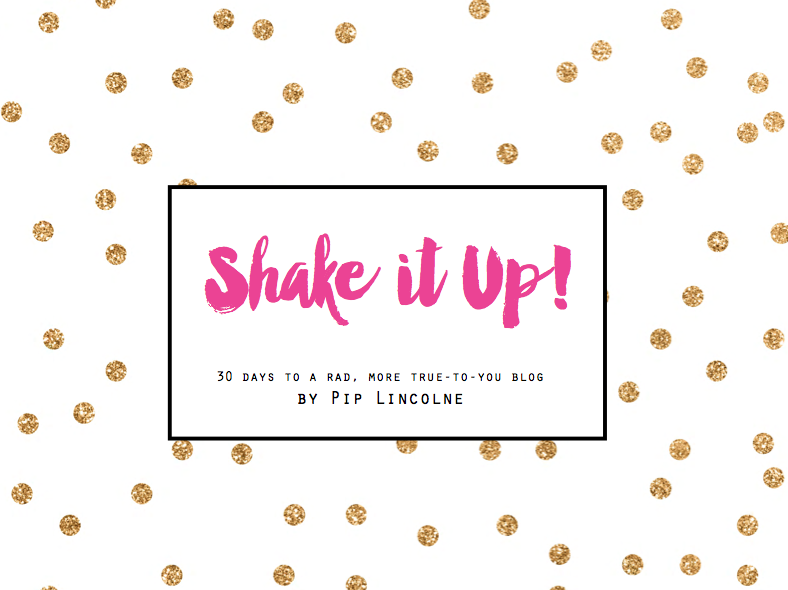 Rin’s pom pommy wedding? 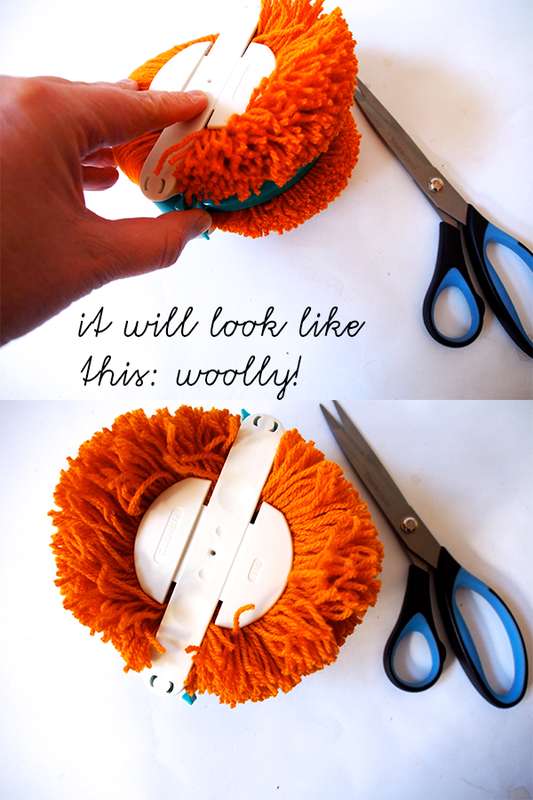 The pom pom rug? 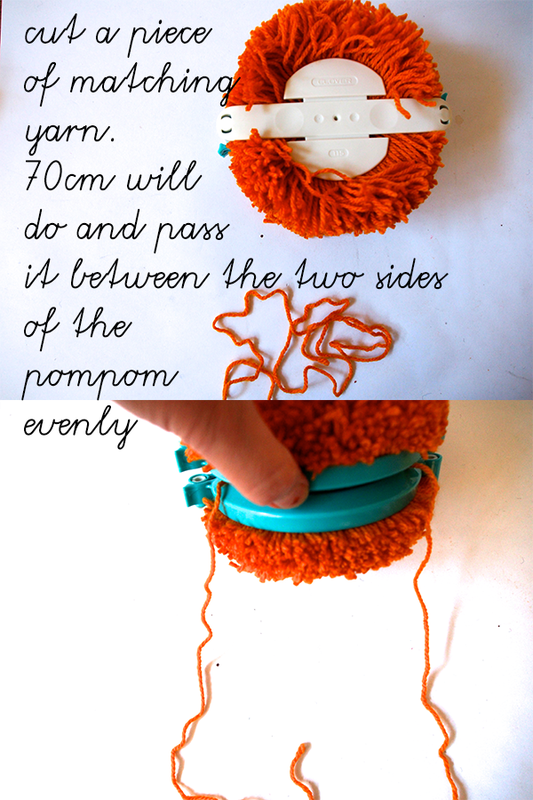 My pom pom pass it on with Clare Bowditch? 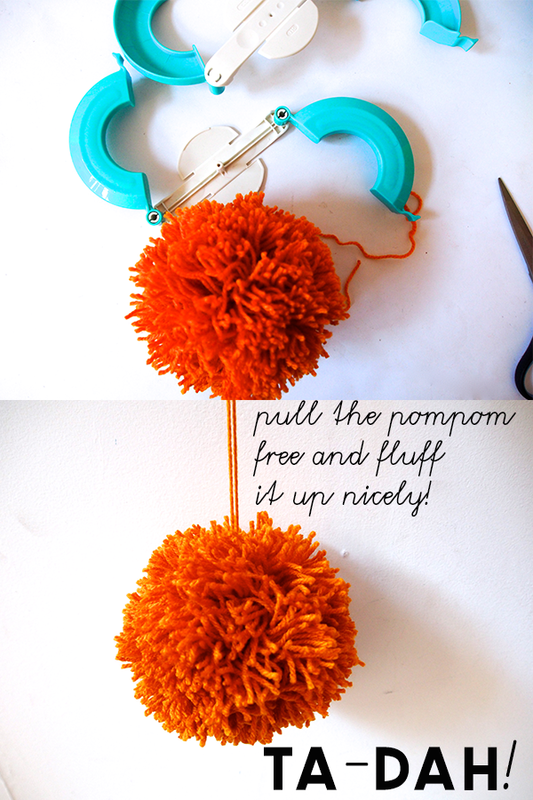 And this little pom pom how-to via my pom pom crafternoon?! Wellllll…. 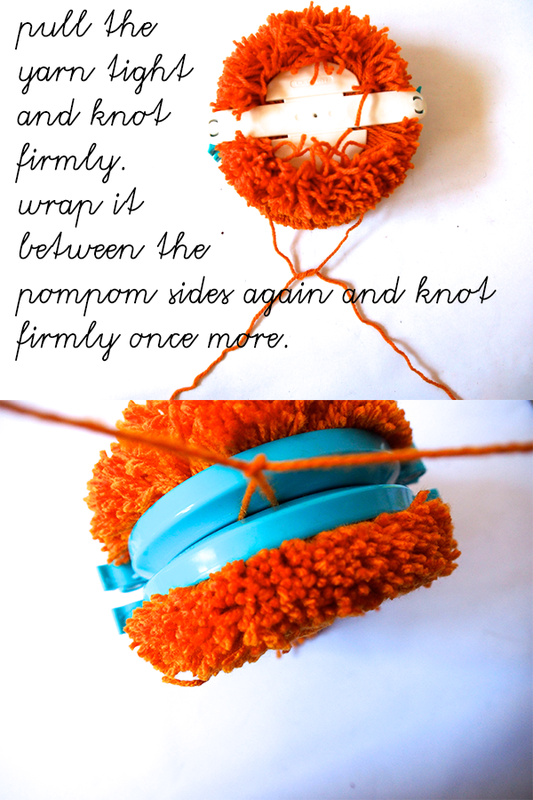 here is another way to pom pom! 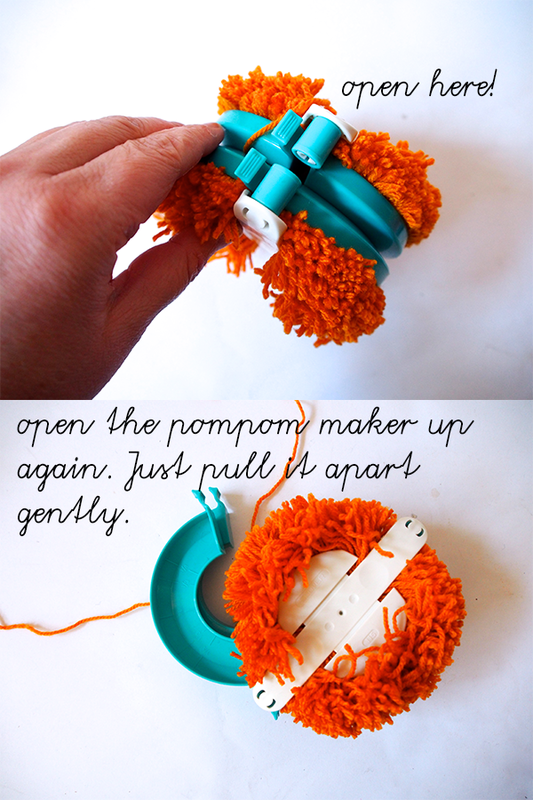 Kirsty told me to have a go at the Clover pom pom maker. 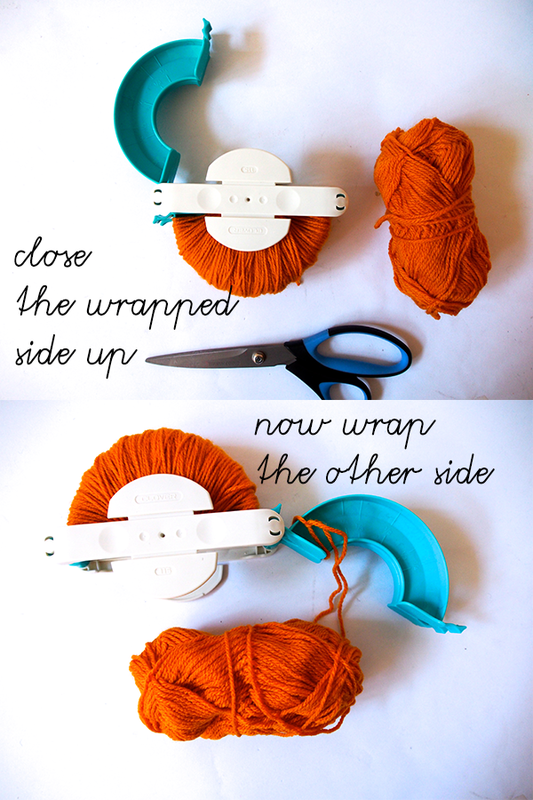 She used them at a crafty weekend she went to and said they were great! She was on the money, honey! 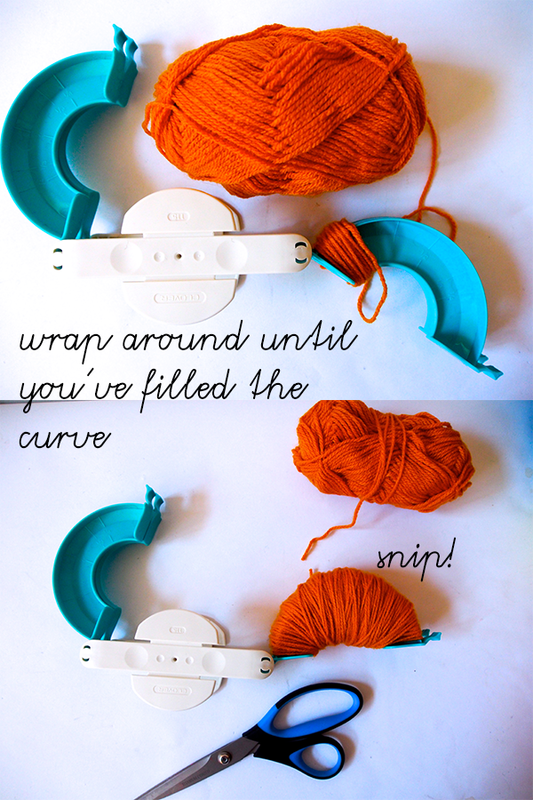 I bought the JUMBO sized one for around $20 from Cleg’s (they are at the yarn counter there!) 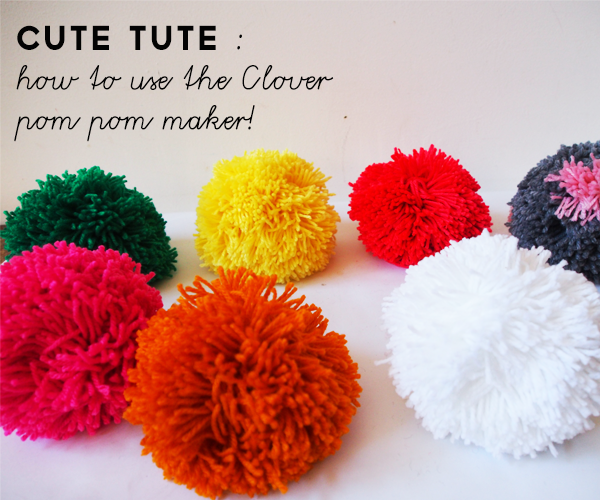 You can buy Clover pom pom makers online and at good sewing supply/yarn stores too. No cutting out templates or fossicking for cardboard. 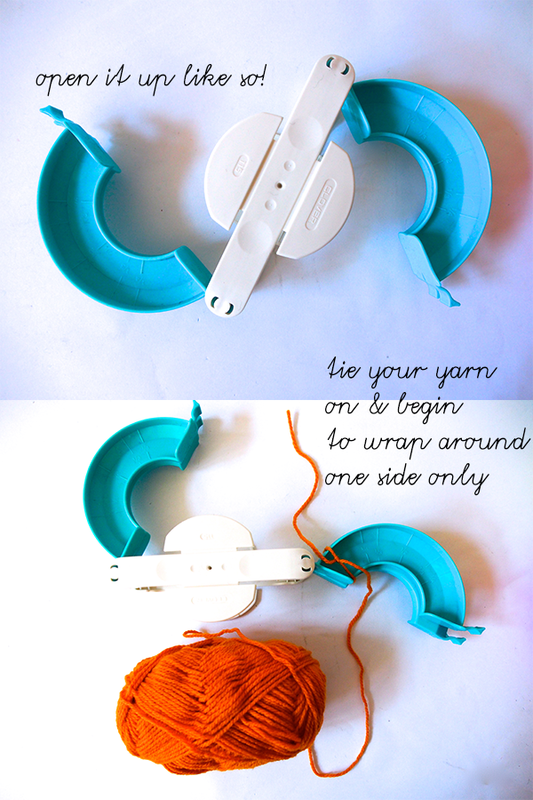 Do you want to make one too?! 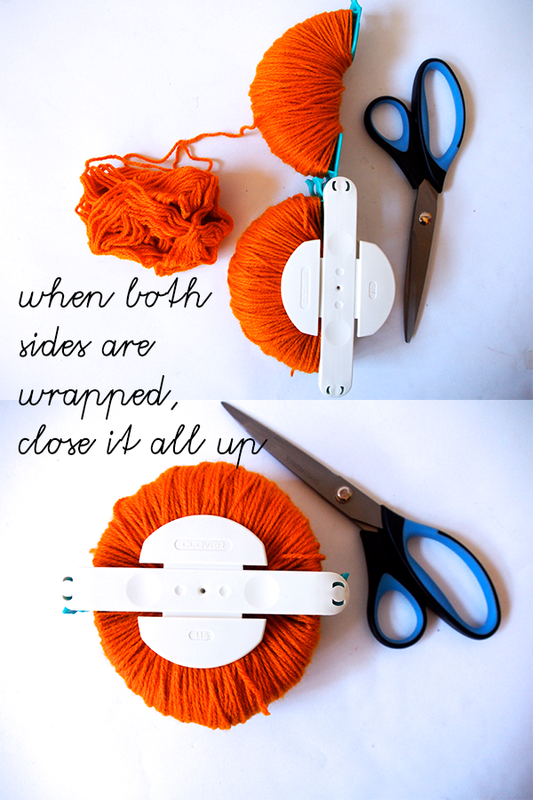 My wedding was in Feb it was mexican themed with masses of pom poms, and I made so many pom poms for it with cardboard, This would have been much easier! Lucky I love making them, I will have to get one! 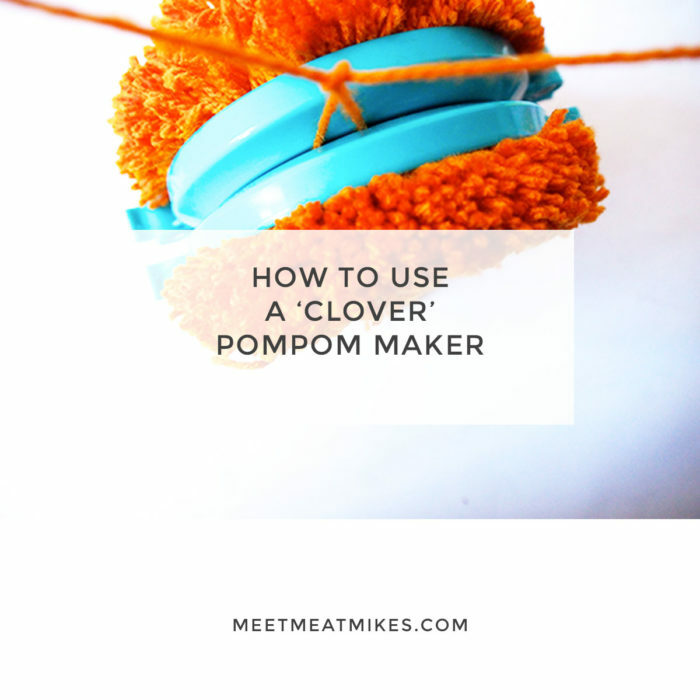 I love the Clover pompom makers, but have only ever used them in craft classes – I have never been able to find them in shops here in Melbourne. Maybe I haven’t looked hard enough! But does anyone know where I could pick one up? Otherwise I will try and find one online and mail order it.